It's time to celebrate! Four years ago today the Global Women’s Water Initiative welcomed 50 grassroots women leaders from all over Sub-Saharan Africa and the United States to launch our first Women and Water Training in Nairobi, Kenya. We gathered together at the Green Belt Movement Training Center hosted by GROOTS Kenya to share stories of the challenges and inequities that women and girls face due to lack of water and sanitation and to learn how to transform those burdens into opportunities. We were so honored to have the late Wangari Maathai, Nobel Peace Laureate join us to offer an inspiring closing speech that motivated all the participants to step into their leadership and see water as a pathway for opportunity! This gathering of powerful women was the first ripple in what has become an exciting wave of action bringing clean water solutions to under-served communities in Africa. It all began with a shared vision from three organizations - A Single Drop, Crabgrass, and Women's Earth Alliance. These three groups came together to respond to the opportunities lost for women and girls when they have to spend all day fetching water - like not being able work or go to school. They were committed to find a way to provide holistic support to grassroots women so they could bring sustainable water solutions to their families and communities. This dynamic collaboration merged Crabgrass's background in human rights and hosting Women and Water Conferences in South Asia; A Single Drop's experience integrating social entrepreneurship into her award-winning sustainable water programs in the Philippines; and Women's Earth Alliance's capacity to link women working on the frontlines of climate change to much needed resources to have deeper and lasting impact. rainwater catchment out of stone and cement. 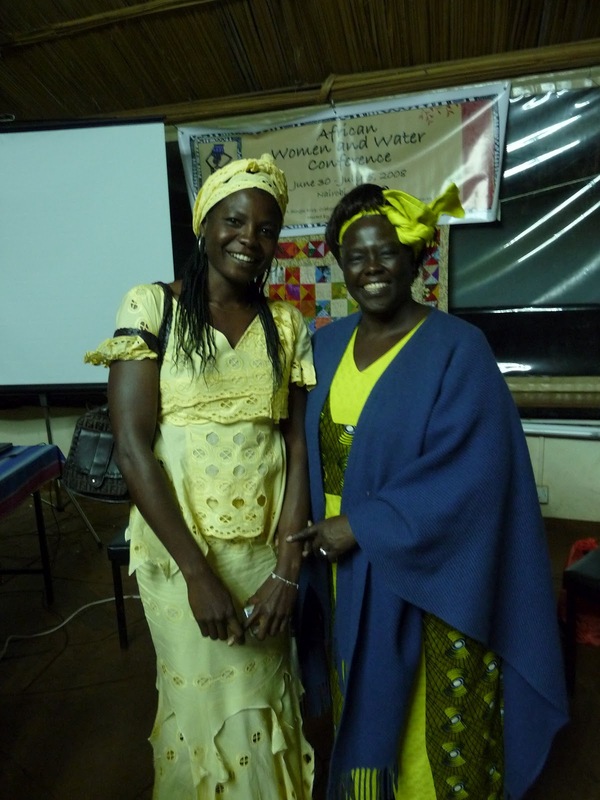 Today GWWI celebrates the over 100 women who have graduated from our training programs. 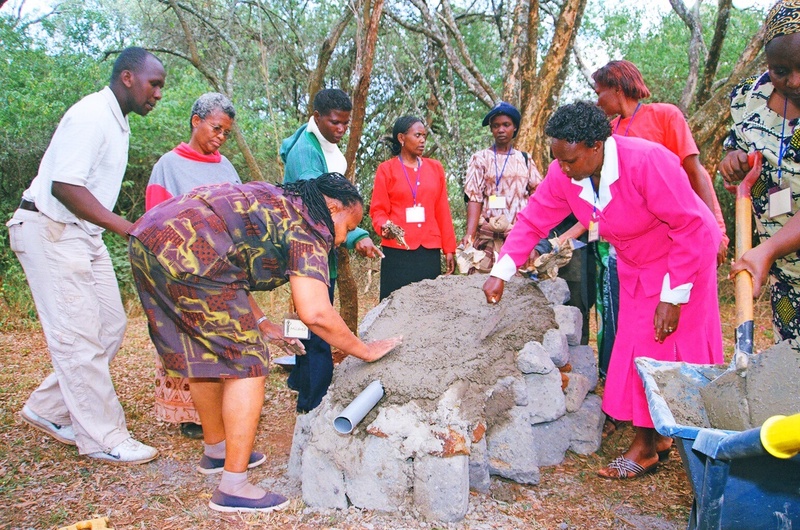 These courageous women have challenged gender stereotypes by picking up a shovel and trowel and building water technologies. 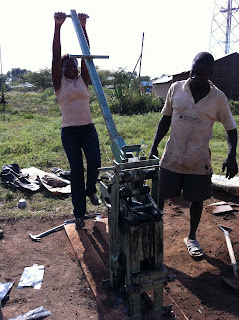 Some have been able to earn income from their professional water services or selling water. Others have traveled to other countries to offer water, sanitation and hygiene education to large international health organizations. A few have been invited to be part of high level water committees and boards to influence policy. And collectively, they have been able to provide clean water and sanitation to over 15,000 people! Brava! will be enacted by the end of 2012. The law will advocate for the integration of household and industrial rainwater harvesting (RWH) technologies. And Nairobi will join the likes of Indian cities New Delhi, Mumbai and Bangalore requiring new homes to have rainwater harvesting infrastructure before the building can be approved. How does this open opportunities for graduates of the Global Women's Water Initiative Training Program? GWWI teaches women to build simple water and sanitation technologies to provide clean water in their communities. One of the technologies most in demand is rainwater harvesting and safe water storage. Women in Africa and in other developing regions can sometimes walk up to 8 hours per day looking for water. On top of that, they have to carry up to 44lbs of water on their heads, shoulders and backs for use at home for cooking, drinking and washing. Collecting rainwater and storing it for future use can alleviate some, if not all of that burden depending on the rainfall and the size of the storage tank. 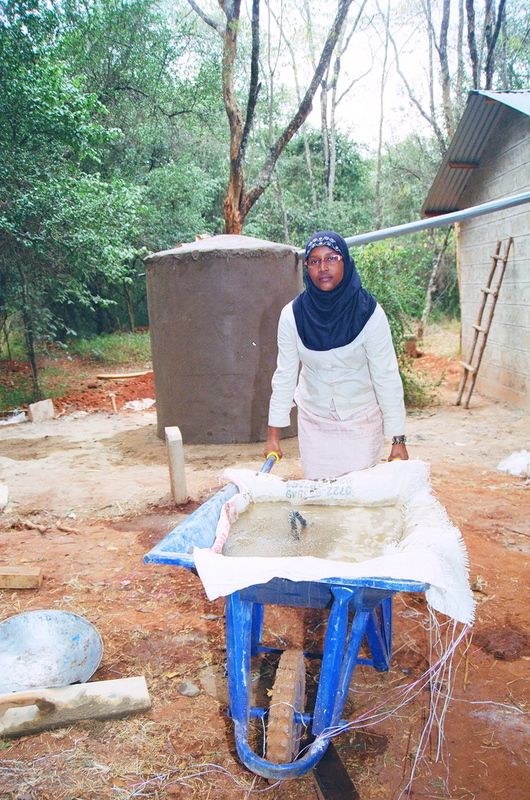 This past year, some GWWI graduates learned to build roof catchments and a storage tank made out of interlocking stabilized blocks (ISSB). 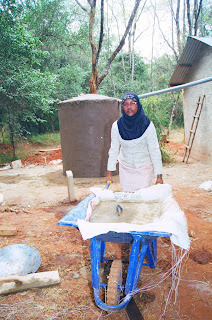 The ISSB tank is a relatively new technology that is now gaining traction in Kenya and the East Africa region because it costs less and is more durable than the other alternatives like a polytank (plastic) and ferrocement tank. The ISSB is made out of marram (orange clay/soil), sand, a little cement and water. This mixture is compressed in a block making machine that requires no electricity just human sweat. It's also manufactured in Nairobi (Kenya's capital city), further keeping the construction and material costs down. Most simple brick making techniques require drying in the sun, whereas the ISSB is ready for use in 24 hours regardless of the weather. What makes this technology cutting edge is the shape of the bricks. Unlike traditional bricks that are flat and rectangular in shape, the ISSB bricks are shaped to interlock like a puzzle, which reduces the amount of cement for bonding and creates a stronger foundation and structure for the tank. With this new policy development, GWWI grads can potentially provide professional construction and education services to meet the water needs of their communities. GWWI is excited to support our graduates to lead the way towards introducing cutting edge technologies that use local materials, require no electricity and can be built by WOMEN! GWWI Women and Water: Congratulations to GWWI Fellows! A huge and hearty congratulations to our wonderful Fellows! So much great news to share. 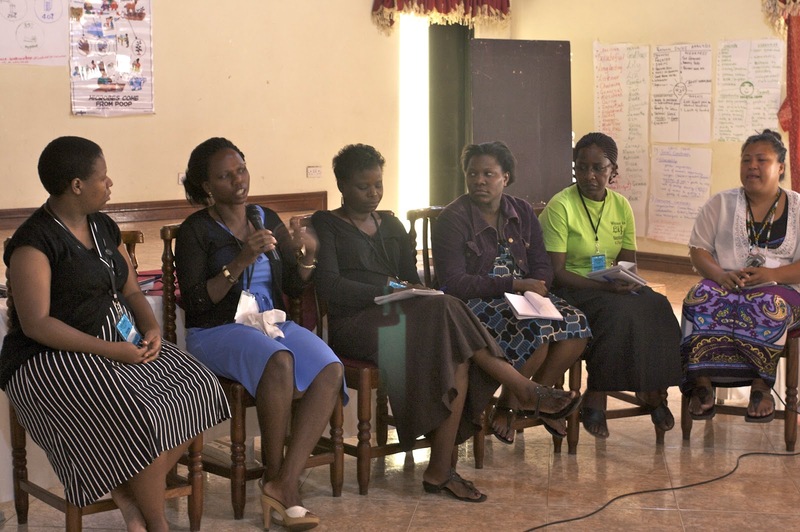 In 2011, GWWI was excited to integrate a Fellows Program to link women grad students and professionals with grassroots women in Africa with the intention of creating a peer learning experience to build women’s leadership in water, sanitation and hygiene (WaSH) at the local, national and international level. 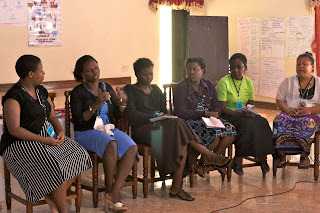 Our inaugural Fellows Program welcomed women from East Africa and the USA to be partnered with grassroots women to support them as they designed a pilot water project in their communities that included the construction of water technologies, hygiene education and in some cases entrepreneurship. The Fellows were our ear to the ground, able to build deep and trusting relationships with the grassroots women and provide GWWI important information to be able to be able to offer the best support for the women to succeed! Kudos to Crossley Pinkstaff who received her Masters in Public Administration - International Development and Policy from NYU! Brava to Terri Harris who received her Masters in Community Development. 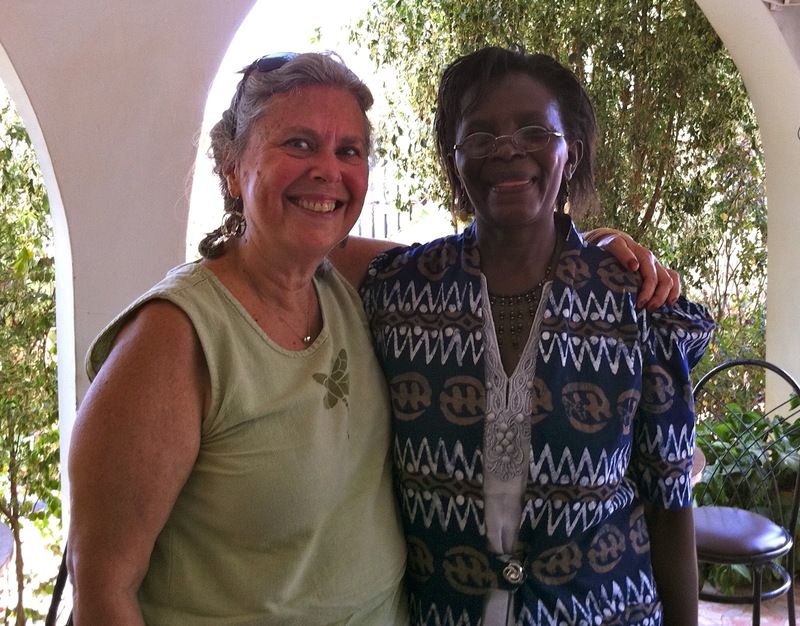 GWWI was so honored to have her feature our work as the core of her thesis, "The importance of Women, Personal Relationships and a Holistic Approach to WaSH in Developing Countries." And shout-outs to our other Fellows who are making waves all over the globe! Epi Bodhi, as you read in our last blog, brought WaSH Education training to Burundi for the international for Village Health Works. Melanie Medalle just finished her first year at Northeastern University School of Law. Lilly Dimling, who’s organization’s founder, Derek Kayongo was one of CNNs Heroes for 2011 and featured one of Grassroots Teams (UCOBAC) in their CNN video! Comfort Mukasa and Eva Nalwanga who finished their first year as Master’s students in Public Health at Makarere, University in Uganda. 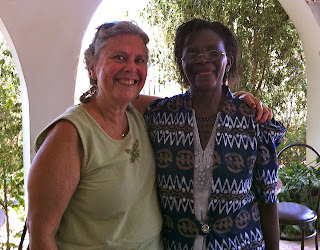 Rose Wamalwa who founded her own non-governmental organization in Kenya to continue the work she learned at the GWWI training. 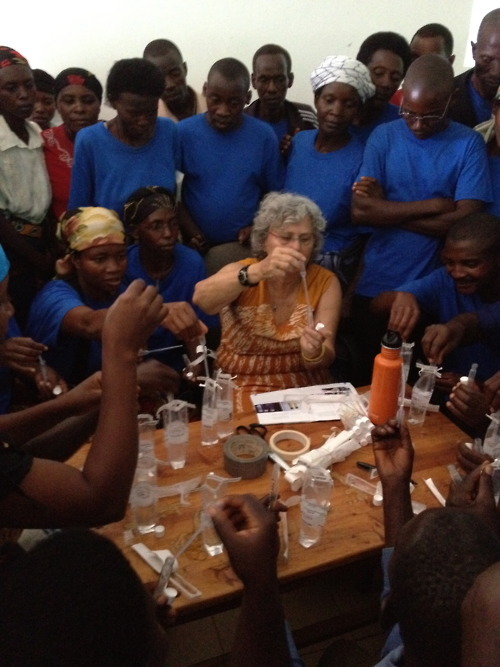 And to our dear Ruth Mubeezi, who gave birth to her second child and the next generation of WaSH leaders! A million thanks and a cazillion congratulations to all our wonderful sisters and Fellows!